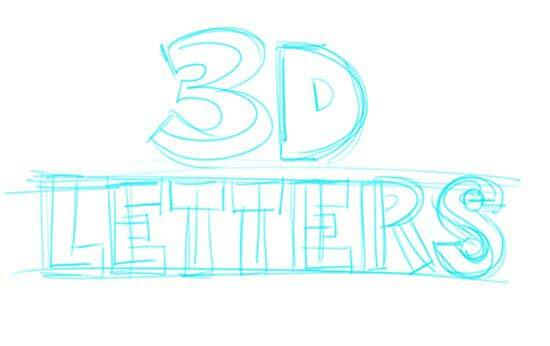 Drawing 3D letters is just plain fun if you ask me. It is an awesome feeling to be able to draw something that looks like it is ready to pop off the the 2D page. 3D letters are great for putting your name on the outside of folders and note books. 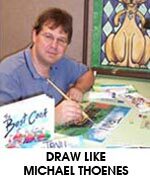 They are also great for dressing up a sign or a homemade greeting card. 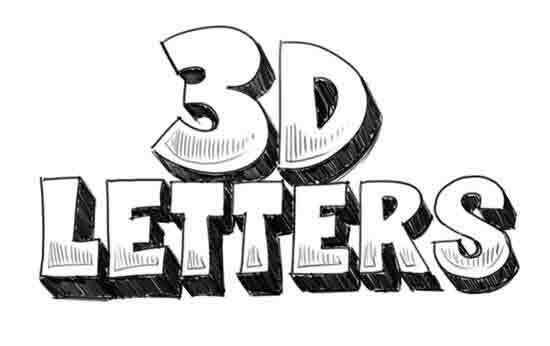 I must confess that I drew many 3D letters in my classes when I should have been listening to the teacher instead. Now, I can't formally advocate you doing the same, unless of course you are in your art class! Now, let's get into 3D... No special glasses required. 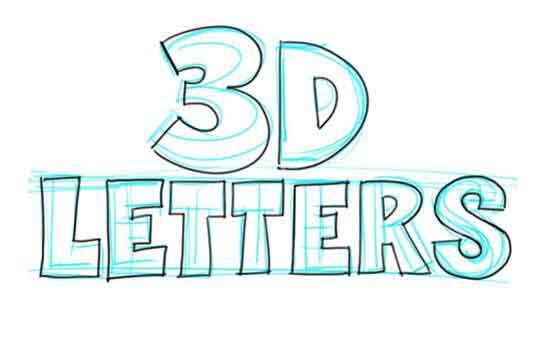 Now let's get started with the "How to Draw 3D Letters" step by step drawing tutorial! 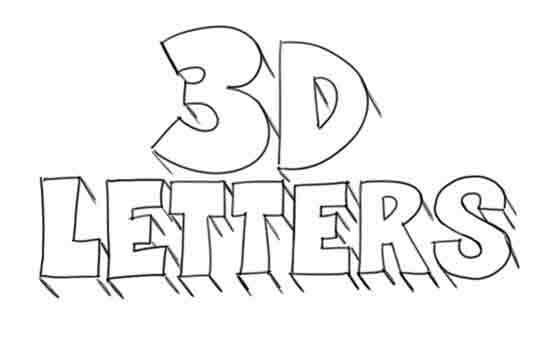 The foundation for your 3D lettering masterpiece is simply writing out your word or words on the paper and getting them to fit the space well first. Your letters should be evenly spaced out and not crowding each other too much. Now, expand your line letters into block style letters. It may help to draw a guide line across the top and bottom of the letters to keep you an track. In my case I built the block letters centered around the line letter like on the "t" if possible. For other letters such as the "L" and the "E," I built the block letter off to the right of the line letter. Just work your way through the letters doing your best to even out the spacing. Outline your block letters with a marker or a dark pencil. Once you have outlined and refined your letters' edges, you can erase the sketch lines you made to build the 3d block letter shapes. It's time to enter the 3rd Dimension! Draw short diagonal lines from the corners of all your letters. 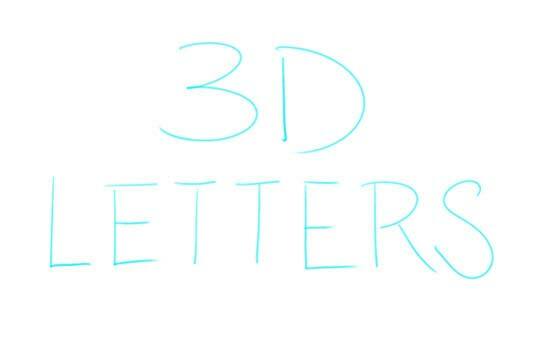 These lines will form the edge of the your 3d letters thickness or depth. The lines should all be of the same length. When you are faced with a rounded letter, do your best to draw an angled line from the part of the curve where the edge changes direction from up-down to right-left. Connect the diagonal lines doing your best to match the contour of the block letters. Also, try to keep the distance from the block letters consistent. Here is where we really make the letters pop! 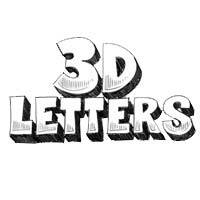 Add shading to the edge of of your 3D letters. This gives the impression of shade or shadow and depth. I have added some hatch marks to the face of the letters to indicate a little bit of texture or reflection.That part is totally optional. 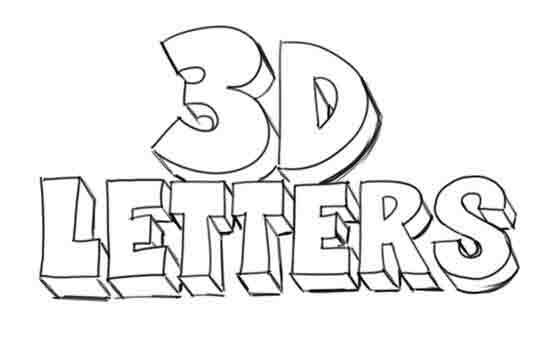 "How to Draw 3D Letters!"